Despite being a small country, there are always new cafes and restaurants popping up in Singapore, so the people there are always spoilt for choice when it comes to good food. Because they are spoilt for choice, some cafes have decided to up their game with various unique and creative concepts in order to rope in some customers, and one of the greatest concepts they came up with was cafes with fairy tale and fantasy as themes. 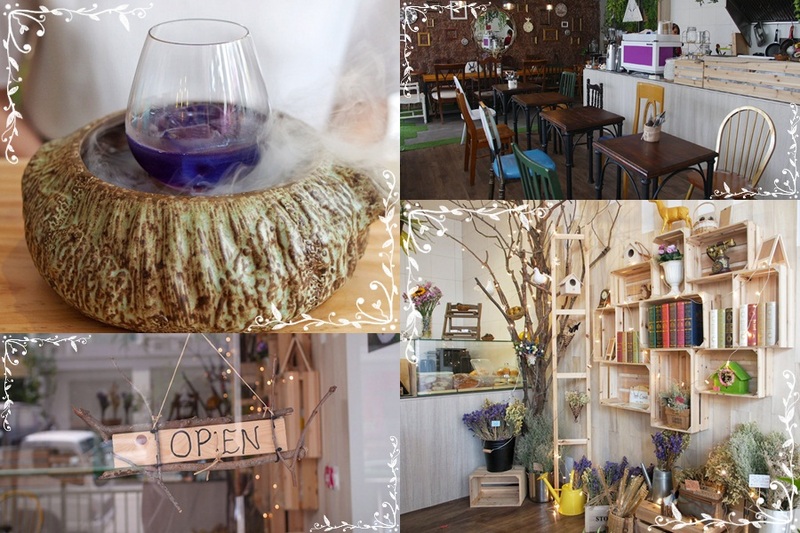 With calming and gorgeous ambience, these kinds of cafe sort of take you away to a dreamlike magical world where unicorns, fairies and other magical beings come to life, giving you a wonderful and satisfying gastronomic experience like you never had before. 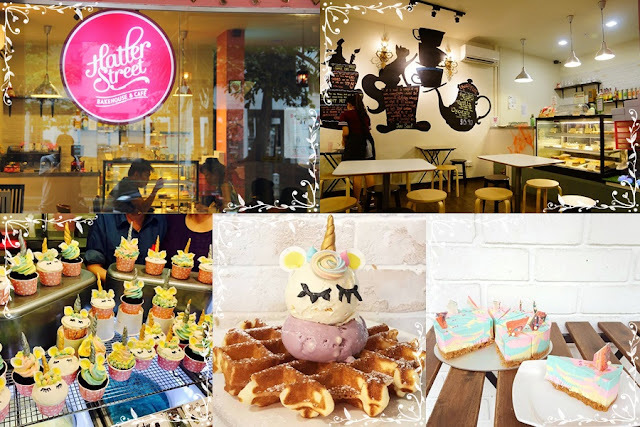 Check out some of the best fairy tale-like and fantasy-themed cafes in Singapore. 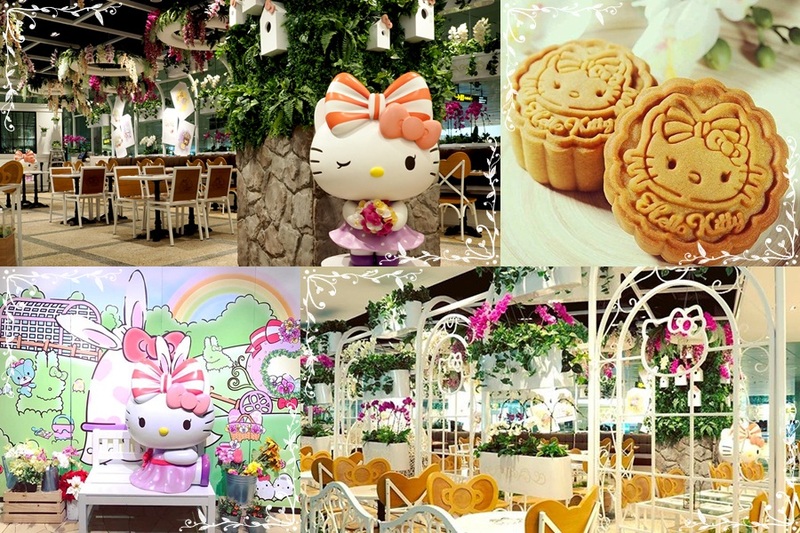 Hello Kitty-themed café is not something new, it is basically all over Asia including South Korea, Thailand, China, Hong Kong and of course, Japan. But what makes the Singapore one slightly special is its beautiful garden theme. Located at Singapore Changi Airport, the café is the first ever Hello Kitty-themed café in Singapore. The café is decorated with lush greenery and opulent flowers amidst an elaborate and rustic setting, making it the perfect secret hideout away from the hustle and bustle of city life. 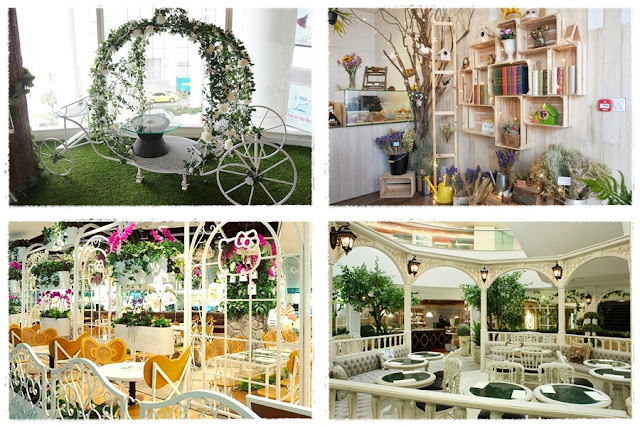 As the name implies, this café is indeed enchanted. With woodland creatures, stretching tree branches, entwined flowers, and spell books decorating the shelf, the café is like a magical garden – minus the witches and the goblins. But you have to admit that the layout of the café is pretty cool and fantasy-like, and the theme even extends to the drinks menu like the Sorcerer's Elixir which changes colour when two potions are mixed together. The café is located at Rangoon Road, and the food here is definitely Instragram-worthy! Named after the last Queen of France, Queen Marie-Antoinette, Antoinette Palais Renaissance or just Antoinette features ultra chic French décor with sophisticated ambience, bringing Parisian luxury to Singapore with an excellent selection of classical French fare. 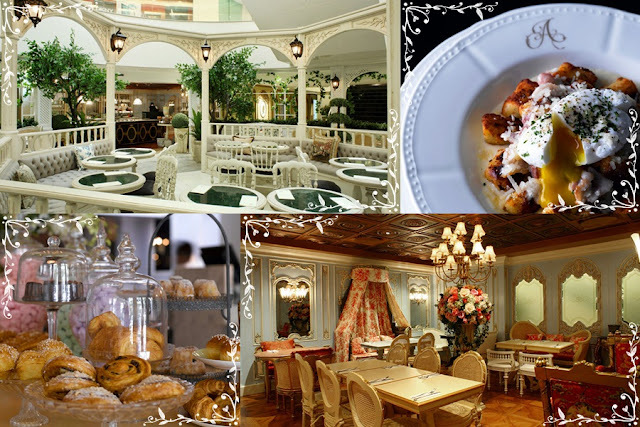 The tea salon is helmed by chef Pang Kok Keong, who is arguably one of the most talented pastry chefs in Singapore. The café can be located at Penhas Road and Mandarin Gallery. Fall down the rabbit hole and enter the world of Alice in Wonderland at Hatter Street, which is located at Hougong Street. The walls of the café are filled with stickers which seems to be Mad Hatter’s tea party, and the stickers featured several “Alice in Wonderland” quotes from the book. The decoration of the café is not very fantasy-ish as compared to the previously mentioned cafes, but it makes up a lot in the food department especially the dessert, which has really colourful and adorable presentations. Travel back to the fondest moment of your childhood at Oh My Tian (OMT) – which is sort of an Asian way of saying “oh my god”. 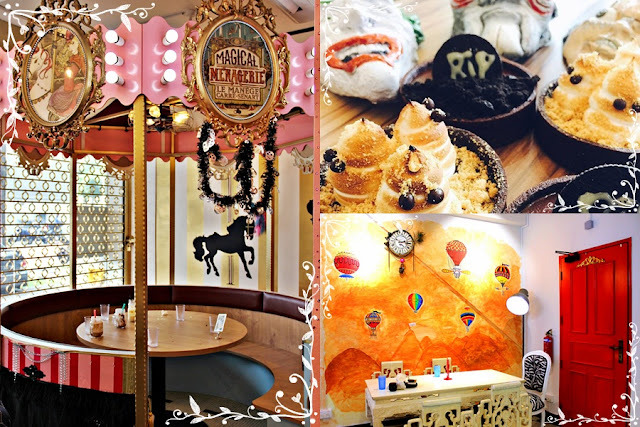 The café gives off a whimsical vibes and the theme seem to be heavily influence by European-style fun fairs and carnivals with pink carousel, paintings of hot air balloons, airships and merry-go-round horses. Opened by the folks behind Hatter Street Bakehouse & Café, the cafe’s menu includes a wide variety of fusion dishes, and it is located at Whampoa West. This fairy tale-like place is apparently modelled after the Garden of Eden and is considered the most beautiful and romantic café in Singapore. Located at Tong Sen Street, the café consists of crisp, white tables and chairs with a carpet of lush greenery. 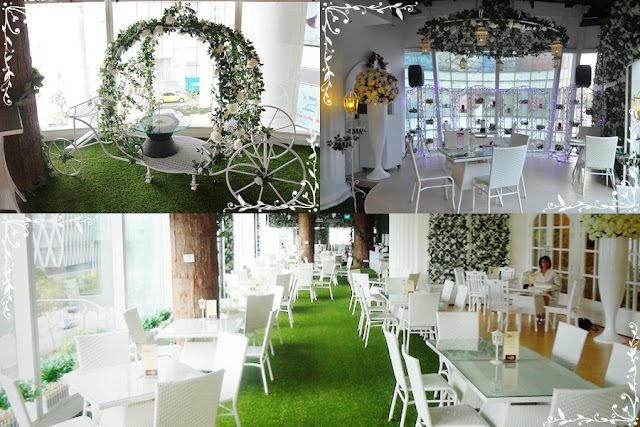 The café has many gorgeous props perfect for Instagram moment such as a beautiful white carriage and swings, a royal room with a plush velvet sofa, and more. It is definitely the most perfect place to have a romantic garden-themed wedding.